Finding the best option for auto insurance here is DuPage should be easy. Today’s consumers have many options on who to contact to get the best policy for them. However, at the end of the day it is generally going to come down to price. With over 10 different insurance providers in our network, not only can we get you the lowest price for your insurance needs, but you’ll be getting the best customer service in town. Our team is available 24 hours a day. Call and talk to us! We’ll help you get a plan in place for your auto insurance. No automated systems, an associate will answer the call. Call 630-947-7980 For a FREE Quote. 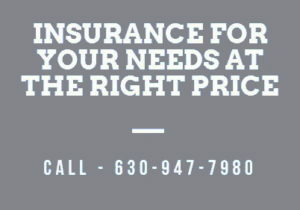 Serving all of DuPage County with Auto Insurance Services, including: Naperville, Wheaton, Downs Grove, Lisle, Westmont, Aurora, Plainfield, Glen Ellyn, and more.